This is my #1 piece of advice, especially in a small space. While on the floor, your amp is pointing at your feet and all you're hearing is reverberation. I'm astounded at how many bands have never properly heard themselves before they record and I'm convinced this is the one of the biggest reasons why. 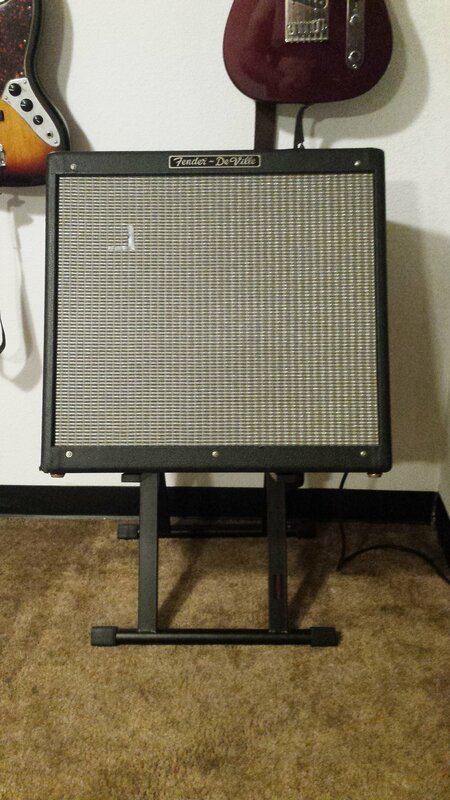 If you can't afford an amp stand, use a chair. This stand may be the best $30 you can invest into your band. Rehearsal time is work, whether you realize it or not. Even if you're paying hourly to rehearse in a professional facility, short breaks will make you far more productive than grinding through a four hour block. Every hour, take ten minutes to chug a bottle of water, use the bathroom, or smoke 'em if you've got 'em; it does wonder for morale. Facing each other is incredibly important; this is how you learn to read the rest of your band members during your performance. Not only does it help cultivate chemistry between each band member, you can hear what everyone is playing better if you can see them playing it. Only face outward toward a "crowd" after you've refined your set together and you're working on your stage presence. Everyone who isn't a part of your act is a distraction. This means not bringing your girlfriend or your bros to "hear your band." You can't work on being solid as a band when you're already performing for the people only at your rehearsal to listen. This may sound like an oxymoron, but I promise it's not. Practice is what you do on your own; it's working out your parts and getting the musical mechanics in order. Rehearsal is putting your practice together into a performance. Rehearsal is not the time to be working out a lead or remembering the lyrics. Printing a setlist for your rehearsal helps you focus on what you're doing in the first place. Not only does it keep you focused, but also playing your songs in the order you're going to perform them will help with the transitions between them. With a setlist, everyone in the group knows where to go next; this separates the men from the boys on stage. This should go without saying, but rehearsal time is not the time to be plastered drunk or blazed. I know the proverb "if you learn it drunk, you can play it drunk," but who is going to take your band seriously if you can only play drunk? Be a professional and everyone will treat you as such. 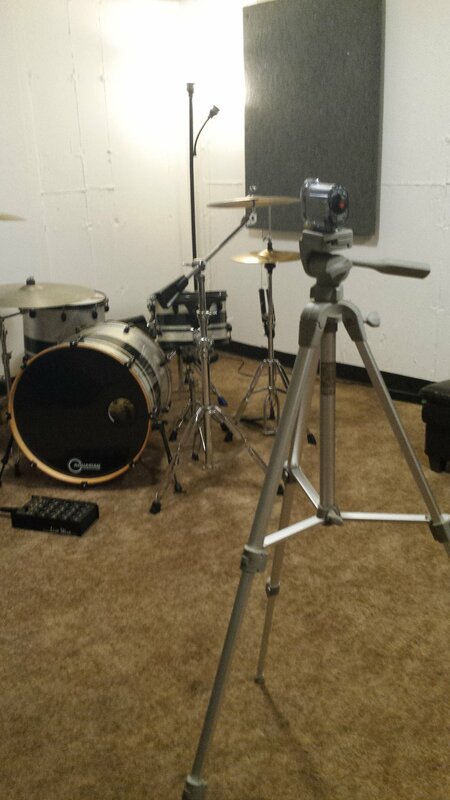 Stick a GoPro in the corner of the room and play the video back after you run your set. You'll immediately know what you need to work on. Anything works; GoPro, handheld audio recorder, phone, etc.